Learning on a Cloudy Day! 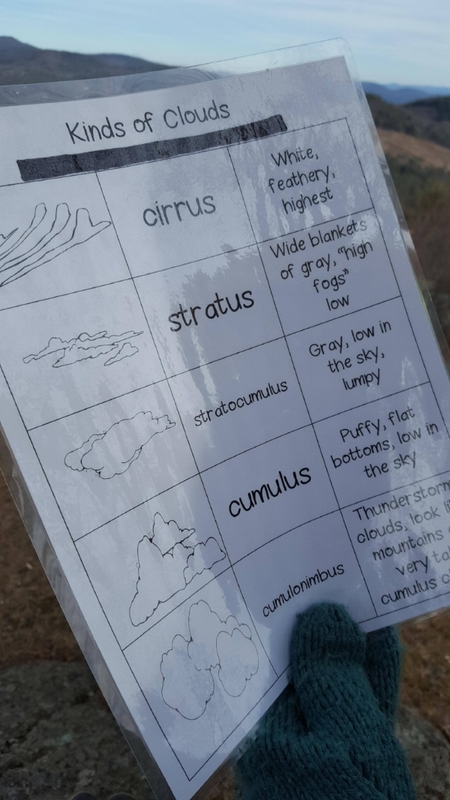 From the outside weather to our inside weather, we are learning to name not only our feelings but the actual cloud types in the sky. The unseasonably warm weather has allowed us to keep exploring the woods and fields around the Slim Baker Lodge. For some children, this type of exploration still requires a lot of effort. When you add to the mix all that extra clothing children are wearing, you sure can see all the extra work it takes these little naturalists to explore! While on one of our forays, the dark sky started to spit little drops of water on us. One child exclaimed that it was raining and we must go back inside. Oh, how I love to hear this comment, because I always find it a great opportunity to talk about how well prepared we are to stay OUTSIDE! And so, outside we stayed. We looked at the clouds and made great observations. We noticed they were high clouds that took up most of the sky yet there were sections that we could see with a blue sky opening. Within the blue sky opening, we could seeing moving clouds. Knowing how to read the clouds, gives us an idea as to what might be coming at us in terms of weather. “Clouds are made up of tiny water droplets and ice crystals that are so small they can float in the air. If the droplets become large enough, you will be able to see them as cloud or fog. If they become even larger, they can fall as rain (or snow).” “The sky can be full of water. But most of the time you can't see the water. The drops of water are too small to see. They have turned into a gas called water vapor. As the water vapor goes higher in the sky, the air gets cooler. The cooler air causes the water droplets to start to stick to things like bits of dust, ice or sea salt.” - https://scied.ucar.edu. 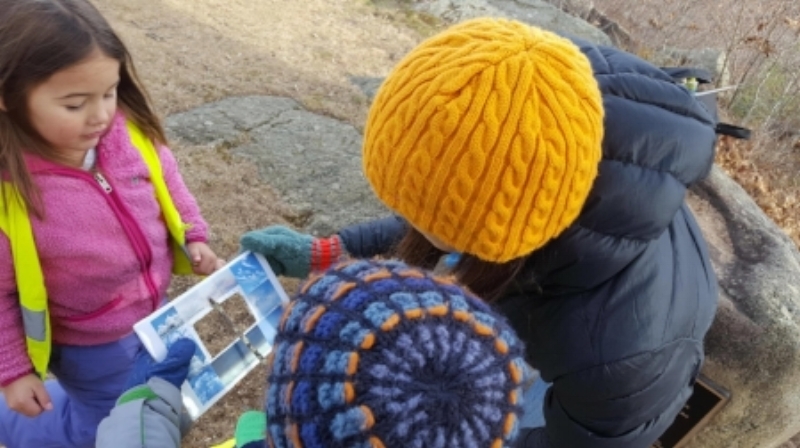 Providing the names of natural features and phenomena surrounding children helps to ground their experiences in meaningful scientific ways. Each cloud has a name. Alto, meaning high, is a name derived from the Latin word “Altus”. Cirrus is used to describe how a cloud looks as if it’s fringed or curled. Cumulus is the Latin word for “heap” or “pile”. Nimbus is the Latin word for “rain”. Stratus is the Latin word for “layer”. Take the time to discover clouds. Children love to find shapes, characters and objects in cloud watching. Better yet, grab a cloud guide book or a cloud view finder and learn the names of each cloud. We guarantee you will get a lot of great practice here in the North East!